Aniracetam helps you think more clearly and remember more by aiding your brain’s communication infrastructure. Some of the positive Aniracetam effects include greater mental speed and enhanced cognitive agility. Many studies and user experiences, which record these positive Aniracetam effects, suggest that it is one of the most potent ‘smart drugs’ available. By taking it regularly, you could improve memory recall, your physical reflexes and mental alertness. Discovered in the late 1970s, Aniracetam is a derivative of Piracetam, but has higher AMPA receptor-enhancing effects. AMPA receptors are thought to aid mental concentration and enable memory enhancement. Since Aniracetam’s introduction, it has been used for a range of medical disorders, including memory loss treatment and memory enhancement – either alone, or in conjunction with other medications. As well as being successfully used to improve memory recall, Aniracetam is also being used to treat epilepsy, dyslexia, vertigo, hypoxia – and even alcohol withdrawal symptoms. In short, it is far superior to many so-called memory improving supplements on the market. Aniracetam is one of the family of nootropics or ‘smart’ drugs, supplements and nutraceuticals that have a positive effect on cognitive function. Nootropics offer more than just cognitive enhancement – they are also non-toxic and can be taken without the risk of any significant side effects. They also provide sustained benefits – more so than traditional stimulants, such as amphetamines, which only provide you with a temporary boost. A major difference between nootropics and other ‘memory enhancers’ is they improve communication across the brain’s Corpus Callosum, the area of your brain that joins the left and right hemispheres. This cross-brain communication links the logical side of the brain with the creative side of the brain, allowing the user to harness greater overall mental ability. In a number of clinical and experimental situations, nootropics have been used in combination with other drugs and have demonstrated positive synergistic effects. Some of the clinical experiments in which nootropics have proved most effective are those using antiepileptic medications, especially Carbamazepine. 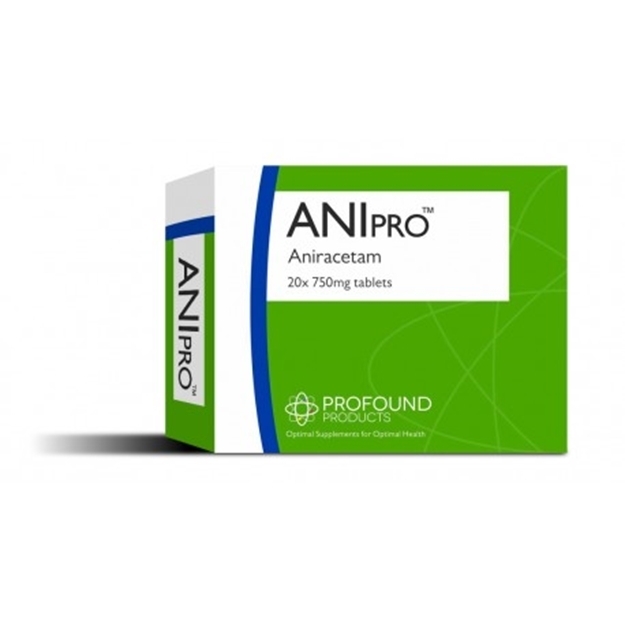 Much of the research into Aniracetam to date has been centered on its ability to effectively treat dementia and, in particular, Alzheimer’s disease. Aniracetam tends to subtly increase the action of other neural modifying drugs, when taken simultaneously with them. Improvements have been noted in memory and learning, as well as the additional benefits of reduction in anxiety, depression and sleep disorders. Japanese studies confirmed Aniracetam’s ability to rapidly promote mental clarity, as well as learning capacity and memory. Aniracetam has been found to significantly improve the cognitive function of patients with senile dementia of the Alzheimer type. The most likely explanation for this is that regular doses of Aniracetam were shown to have a positive impact on the brain’s memory mechanism. Studies also suggest it has a beneficial effect on the body as a whole, with improvements shown in patients’ immune systems, increasing resistance to infection and generating a feeling of health and well-being – particularly in the elderly. While it is a derivative (or analogue) of Piracetam, less Aniracetam is required than Piracetam – only a milligram dose per pound of body weight. The recommended dosage is one or two 750mg tablets per day. Always bear in mind that all nootropics work in synergy – by being taken with other nootropics and with other brain nutrition products such as choline, dimethylethanolamine (DMAE), Hydergine and Centrophenoxine. Aniracetam has been found to be virtually non-toxic, with very few side effects and contraindications. However, when combining it with other nootropic drugs, individual doses may have to be reduced in order to avoid possible nausea and headaches. Overwhelming evidence points to Aniracetam’s powerful cognitive and mental capabilities. By taking Aniracetam regularly, you too could greatly enhance your memory, physical reflexes and mental alertness.